Whether you are a seasoned writer with published works or are only now starting your journey as a wordsmith, there is one thing you will always need: feedback on your writing. 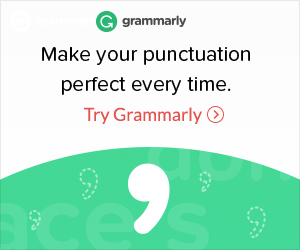 Let’s be honest—after we complete a piece of writing, we may often perceive it as perfection personified and immediately start clicking the send button to various contests or submissions. However, rarely are these first drafts ready for publishing. In fact, they rarely ever are. In its essence, those second, third, fourth, fifth, thousandth drafts are to make certain the story is ready for the eyes of the reader, while the first draft was you solidifying those marvelous ideas that have been bopping about in your brain… and telling them to yourself. In short, editing is incredibly important in your writing process—the value of which cannot be overstated. What is a Critique Partner? A critique partner is someone who reads your story with the sole purpose of trying to improve it. Typically, critique partners (also called CPs) are fellow writers looking to hone their craft, just as you are, and will offer to exchange stories with you, such as exchanging first chapters or the first ten pages. The purpose of a critique partner is to provide the author with an overview of not only what’s working in a story, but also what needs improvement. Though, keep in mind that critique partners are only one opinion, one person looking at your book. Everyone has opinions on what they like and what they would like to see changed. Different critique partners may even give you conflicting advice. It’s your job as a writer to decipher which of these critiques will be true to the essence of your book and which will help to improve your story. When considering whether or not to find a critique partner for your story, the first question to ask yourself, in my opinion, is this one: Are you ready to make changes to your book? If the answer is no—whether you think that your book is perfect and needs no editing or if you are still reworking it yourself—then you probably aren’t ready to work with a critique partner just yet. If the answer is yes, then consider these 10 tips on critique partner etiquette. 1. Ask the writer what their ultimate goals for these revisions are. Macro-edits: Big-picture changes in the plot. Line edits: Accuracy, repetitions, etc. Copy edits: Punctuation, spelling, grammar, and so on. Your fellow critique partner may be farther along in the editing process and may ask you to look for story accuracy or repetitions, while yet others may ask that you focus on overarching plot issues. Whatever the request may be, always be sure to respect what your critique partner has requested you to keep an eye out for. However, if you spot another issue, don’t be afraid to point that out as well. Similarly, be sure to go into a potential critique partner relationship with an idea in mind of what you would like them to look for. 2. Read the entire piece of writing with an open mind. Like anything else in life, when you start reading someone’s writing, do so with an open mind and without a previous agenda. If there are certain phrases, plot points, types of characters, etc. that strike your writerly OCD chord, then you may want to consider foregoing sharing these biased opinions (unless, of course, it’s a grammatical concern of sorts). As a critique partner, you are there to help the writer and be a positive influence. So, do try to check those pesky pet peeves at the door. 3. First and foremost, tell the writer what you liked about their work. What are their strengths? What did they do well? Once you’ve read through a writer’s work, the first thing you want to do is reflect on the things that the writer rocked at. As writers, we have delicate egos. Constant rejection—whether it’s from agents, contests, or column submissions—is a way of life for writers, and we value highly any and all forms of support. As a result, always be sure to focus first on what was done well and what that writer seems to be gifted in before offering changes/critiques. 4. Identify areas for improvement. One of the least helpful critiques any writer can get is vague comments such as: “I didn’t like it” or “That scene just didn’t work for me.” Nothing makes writers want to scream more than unhelpful, sweeping statements steeping in negativity. Before you send your feedback to your fellow critique partner, consider why a particular scene wasn’t leaping off of the page and do your best to explain specifically what could be adjusted to help improve a given scene. 5. Use Track Changes when possible. Unlike 10 or 20 years ago where much of the writing and editing process was done by hand, in today’s age most work is done digitally. Microsoft Word still dominates the market, as well as its editing feature called Track Changes. Editing should be straight forward and easy for a writer to digest. Either use Track Changes in Word to make changes and include comments or use standard editing symbols on a hardcopy and scan in into your computer afterwards. (Though, I highly recommend the former.) Let’s be respectful of each other’s time and not force each other to decipher each other’s chicken scratch. 6. Be respectful of deadlines or agreed upon turnaround times for critiques. When you are first dialoguing with a fellow critique partner, you want to determine whether the writer has a deadline that they need to meet, and, if not, how soon should your comments be completed. If you both agree that you will have your revisions done in a week, then have them done in a week. The writing community is eerily small, and you don’t want to be unkind to your fellow writers. Besides, if for no other reason, you should be respectful of your fellow writer’s time, just like you’d want them to be respectful of yours. 7. Don’t be afraid to mull comments over, which your fellow critique partner may need to do as well! Although you may feel the impulse to edit the entire chapter you received feedback on the moment you get it, consider reading your critique partner’s feedback in full and mulling on it prior to launching into changes. You may just find that a certain comment or suggestion resonates with you further once you’ve given yourself a chance to think about it. On the other hand, you may have an immediate vision of what needs to be changed to improve your work. If that’s the case, write on! Similarly, don’t be surprised if your fellow critique partner takes several days or weeks to work through your comment. 8. Don’t be upset if the writer chooses not to utilize your recommended edits/changes. This will come into play if you work with the same critique partner more than once. A lot of times—especially on important sections of your book, such as chapter one—writers will exchange the same chapter or set of pages repeatedly to perfect the work. As a result, you, as the critique partner, would get to read that writer’s same work after they’re worked through some of your suggestions and critiques. They may or may not choose to incorporate some of your suggestions, and if they don’t, be respectful of that. This is their story, let them rock their vision of it. 9. Be grateful and always encourage! At the end of every critique session—whether it’s verbally, via email, or some other method—always thank your fellow critique partner for looking at your work and providing comments. Like you, they are busy people with hectic lives who took time out of their day to check out your writing. Make sure you express how much you value their time, and who knows! You may end up sharing stories with them again. 10. Offer to return the favor (if you haven’t already). As I mentioned before, writers looking for critique partners tend to offer a story swap—10 pages for 10 pages or exchange chapters. However, should you come into a situation where a writer offers to read your work, offer to read theirs as well. Sometimes, that outside perspective is just the thing we need to bring our stories from good to epic. Where Can These Mythical Critique Partners Be Found? If you work in an editorial department, you may even want to casually inquire as to your coworker’s interest in writing on their own time. You’d be surprised how often you find novel writers in an editorial department! Meg LaTorre is a writer, AuthorTuber/BookTuber, developmental book editor, and former literary agent with a background in magazine publishing, medical/technical writing, and journalism. On Meg’s YouTube channel, iWriterly, she geeks out on all things books—from the concept to the bookshelves (and everything in between). Meg also launched Query Hack, a query critique platform where writers can submit their manuscript queries or Twitter pitches for free feedback. She has written for publications such as Writer’s Digest and Savvy Authors on topics related to writing and publishing and can be found teaching online classes throughout the year. In her free time, she enjoys reading, running after her toddler, and sleeping. To learn more about Meg, follow her on Twitter/Instagram/Facebook, sign up for her monthly newsletter, and subscribe to her YouTube channel, iWriterly. Stay up-to-date on Meg’s latest articles, blogs, giveaways, and iWriterly videos by subscribing to iWriterly’s NEW monthly newsletter, Book Nerd Buzz!